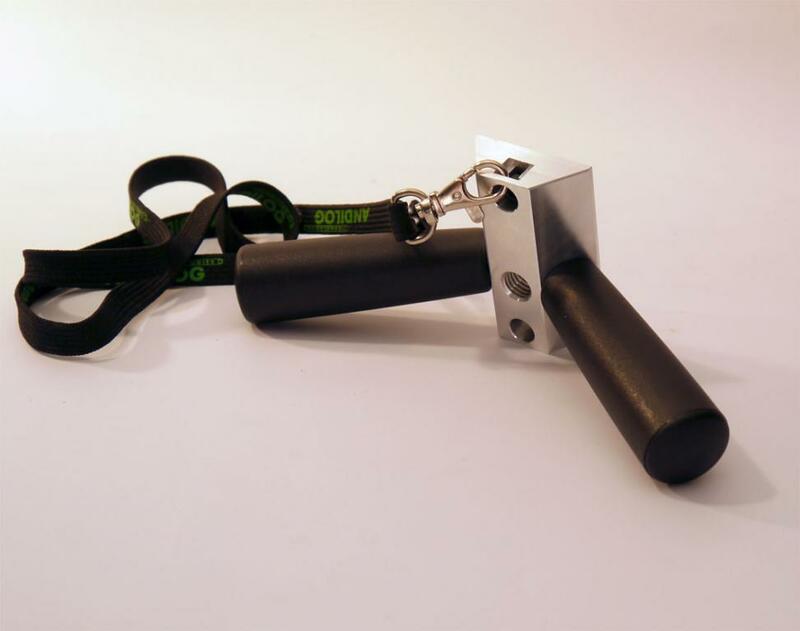 For an easy handling and a perfect gripping during a push/pull test, Andilog proposes its simple handle for force gauge. The back handle is perfect for all hand testing and/or field-testing. Thanks to a better gripping of the Force Gauge, the application of the load is facilitated. Generally used for pushing/pulling force lower than 500N (50Kg), their use is recommended for ergonomics analysis and handling studies. The double handle is hold with two hands. Operating principle: It’s simply fit on the back of the Andilog force gauge and hold with two hands. Compatible with: all Andilog force gauge model: Centor First, Easy, Star, Dual and Touch. Supplied with: a set of screws to secure the mounting and a neck strap.